I hope you are doing well on this brand new day. And I have a little gift for you. As you may know, I used to work at the University of Texas at Austin. During that time, I met incredible people from across the campus who were dedicated to making the world a more equal, loving, and respectful place. One of the most dynamic professionals I worked with was the Dean of Students (at the time), Teresa Graham Brett. Since our days at UT, we have both started our own ventures. My work with Joyful Living, and her work is called Parenting for Social Change. Teresa is also a huge advocate and practitioner of mindfulness. For Teresa, she uses it in daily life as a mom of two boys, and in her professional work with families who are wanting to parent from a new paradigm of equality and respect. I’ve worked with parents, too, and see the impact of mindfulness in their families. 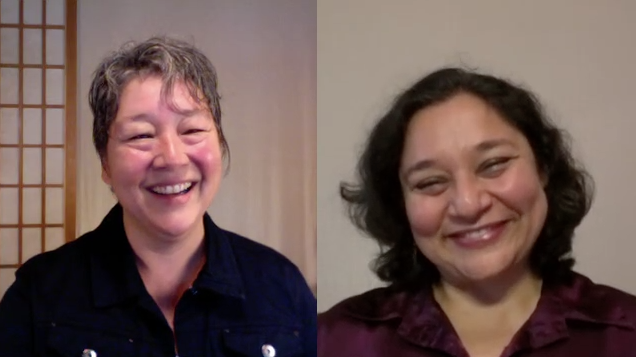 Anyway, Teresa and I ended up connecting and talking and loving what the other was doing – so we experimented with filming two of these conversations. I’m so honored to share our discussion with you. If you ever feel like you could use a bit more mindfulness in your relationships, with your children or in your life, enjoy this interview. free workbook and foster connection and awareness in yourself and your relationships.